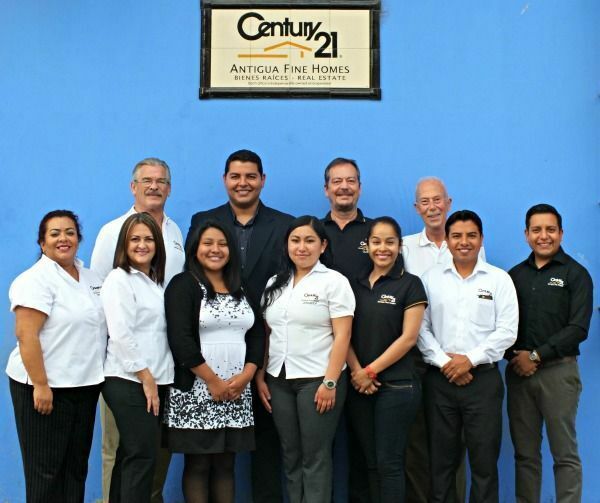 We used Century 21 for our search for a home to rent in Antigua. Specifically we worked with Luis. They were great working with us as we searched and decided on a place completely online. Through wire transfer and extra pictures the process was smooth. After we moved Luis has been a huge help with getting us settled and solving some bank issues. I would recommend using them for your home search in and around Antigua Guatemala!!! If you do ask for Luis!!! He is wonderful! Loved working with Luis. The office is very professional and they definitely cater to the English speaking crowd. We found that Luis thought through what we wanted based on our specs and instead of seeing 100 houses he narrowed it down for us to the best 4-5. We even got a bonus tour of a mystery house and ended up loving it and renting it! Luis understand exactly what I was looking for, the first house I saw amazing and I am now living in this House. I highly recommand Luis for his human values and understanding of what your are looking for. We have used Century 21 exclusively since moving to Antigua in 2013 and have always had terrific customer service. Luis Pedro found exactly what we were looking for with a rental house in Jocotenango -- great yard, safe and secure location, ...We have used Century 21 exclusively since moving to Antigua in 2013 and have always had terrific customer service. Luis Pedro found exactly what we were looking for with a rental house in Jocotenango -- great yard, safe and secure location, budget price -- and was very helpful, driving us to the property at least three times, introducing us to the owner and making sure all of our questions were answered. We love the new place. Our agents are ready to help you find the perfect rental home. © Antigua Fine Homes S.A. Guatemala - 2016 - All Rights Reserved - No part of this website or any of its contents may be reproduced, copied, modified or adapted, without the prior written consent, unless otherwise indicated for stand-alone materials. For any other mode of sharing, please contact us at [email protected] . Commercial use and distribution of the contents of the website is not allowed without express and prior written consent of Antigua Fine Homes S.A. Guatemala.